You’ve probably heard about Feng Shui on tv, walked past books about in the New Age section, or seen it mentioned in magazines and have some sort of idea that it is a funky way of arranging furniture. The true meaning goes a bit deeper. Feng Shui (pronounced “fung shway”) is the ancient Chinese practice of placement that has seen a recent burst of popularity. And it’s no wonder that a system based on achieving balance and harmony would resonate with people today, who all seem to be over-scheduled, overworked, and constantly plugged in. Practitioners of Feng Shui will agree that the bedroom is the most important space in any home because we spend so much time there, and we are often at our most vulnerable: asleep and unaware of our surroundings. You don’t have to be an expert to reap the benefits of Feng Shui; try incorporating some of these ideas into your space and see if they have a positive effect on your daily routine. 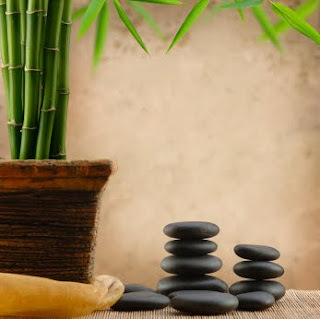 o One of the primary goals of Feng Shui is harnessing the energy around you to have a positive impact on your life. According to the rules of Feng Shui, chi (energy) can escape through your windows at night, thus depleting you of your precious energy reserves. Make sure you have window treatments to help prevent chi from seeping out of your room while you rest. o It is not only lucky but visually pleasing to face an attractive view when you wake up in the morning. Don’t worry if you don’t have a mountain range or a lake in your backyard, you can supplement your morning view by adding attractive wall adornments. o The northeast direction is associated with knowledge, and green-blue end of the color spectrum is associated with this direction. To help stimulate a child’s academic interests, trying adding turquoise accents or bedding to the northeast corner of their room. o Bed placement is a very important to the rules of Feng Shui. A recommended position for any bed is diagonally opposite the doorway, because it promotes the flow of energy in the room while keeping you away from any drafts, interruptions, and distractions that a doorway can introduce. o Thankfully, colors represent a variety of elements in Feng Shui, so stick to what makes you feel good when making color choices. Create a serene space for rest by adding a fluffy duvet and plenty of accent pillows. The most import thing to remember about Feng Shui is that it should enhance how your room makes you feel, so incorporate a few small adjustments and see if the change has a positive effect. Feng Shui is very important in my opinion, and the bed is one of the most important items to consider when doing placement.